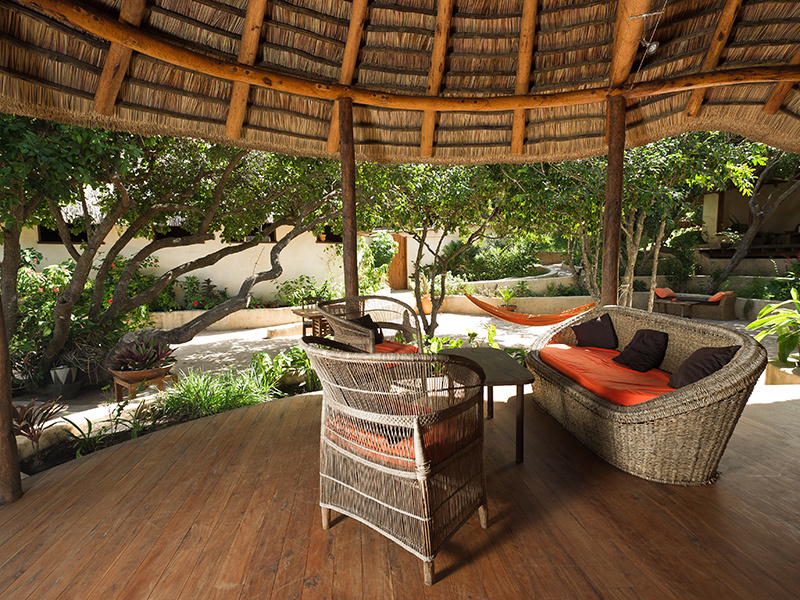 There are places you stay you will never forget… this is one of them! 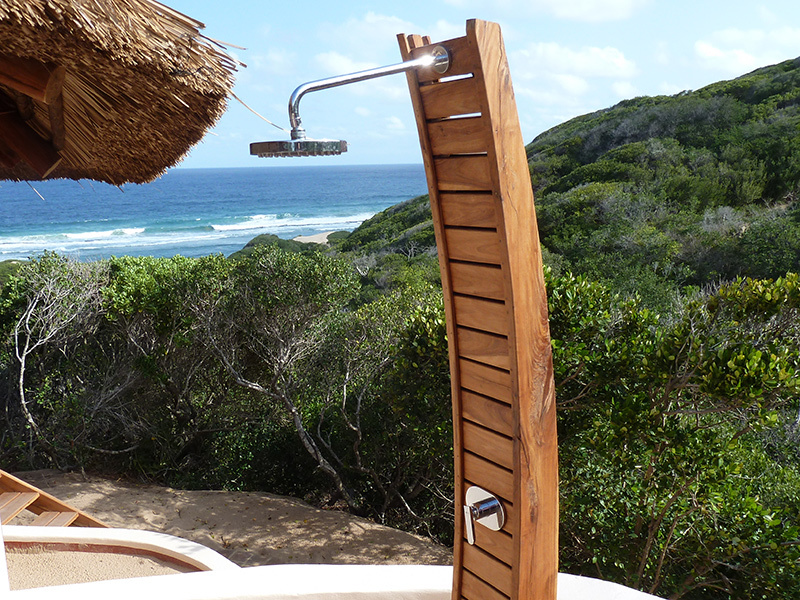 The perfect place to feel the energy emerging from the beauty of the Mozambican coast. The chalets rounded shapes melt gracefully into this unique environment that has been preserved by all means. In this magic and unspoilt place, discover nature, local culture and traditions! 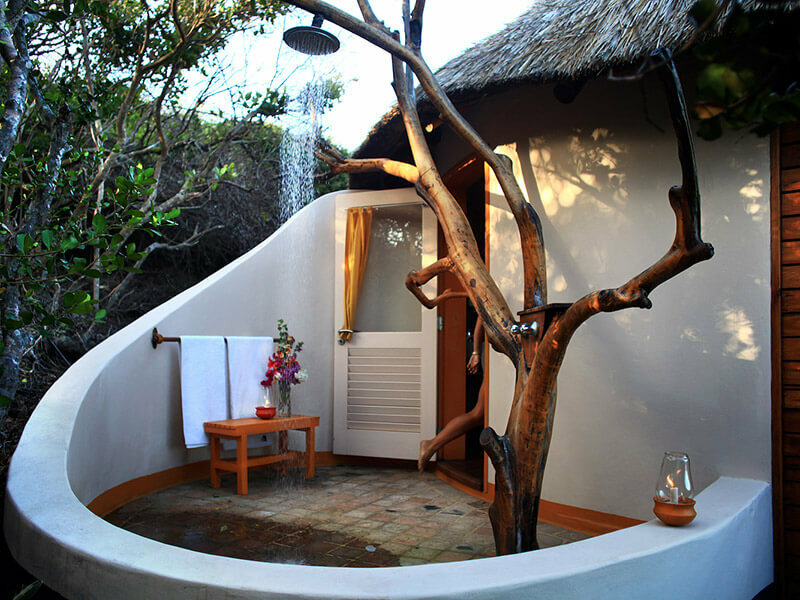 Responsible Tourism at it’s best! 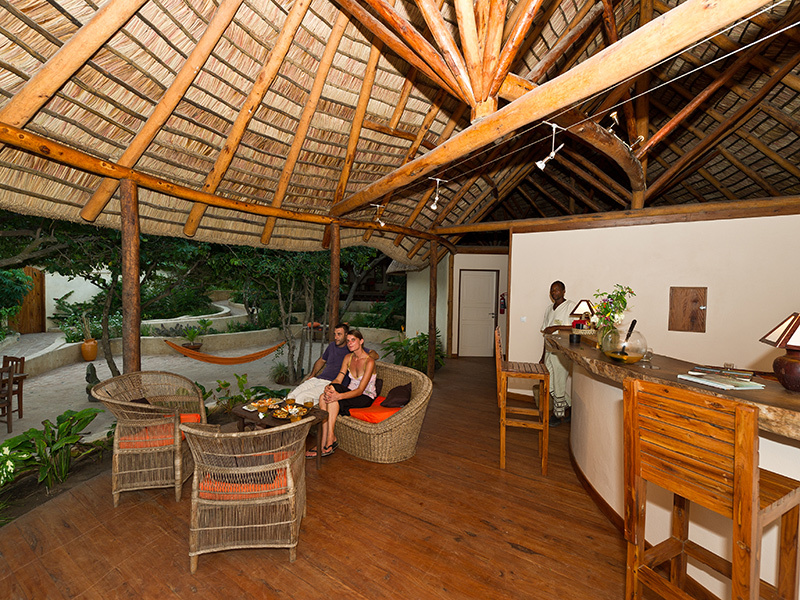 The serenity of the place, a personalised and warm service and delicious Franco-Mozambican cuisine will enable you to enjoy every moment of your holiday! 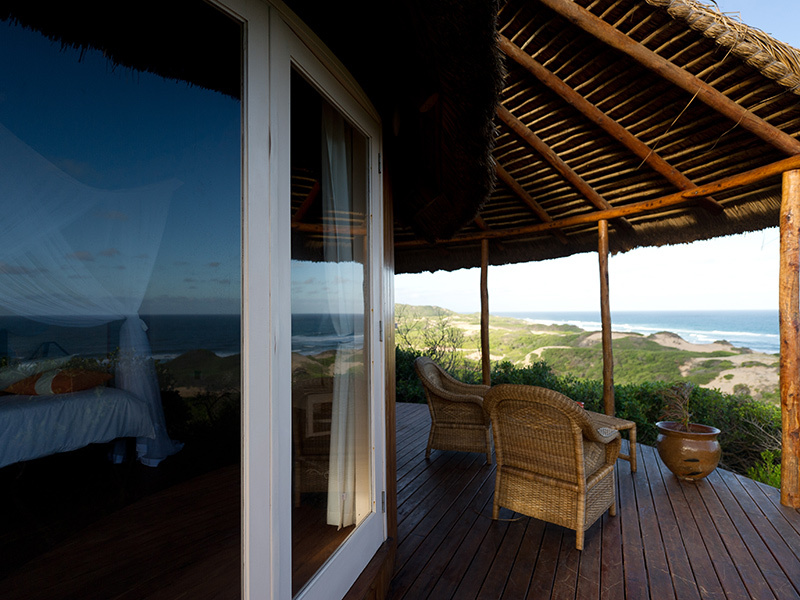 Nested in the pristine coastal forest, Dunes de Dovela Eco Lodge is situated 15 km north of Praia da Zavora and offers Luxurious Bungalows, a Tented Bush Camp and a French restaurant, all with breathtaking views over the Indian Ocean. 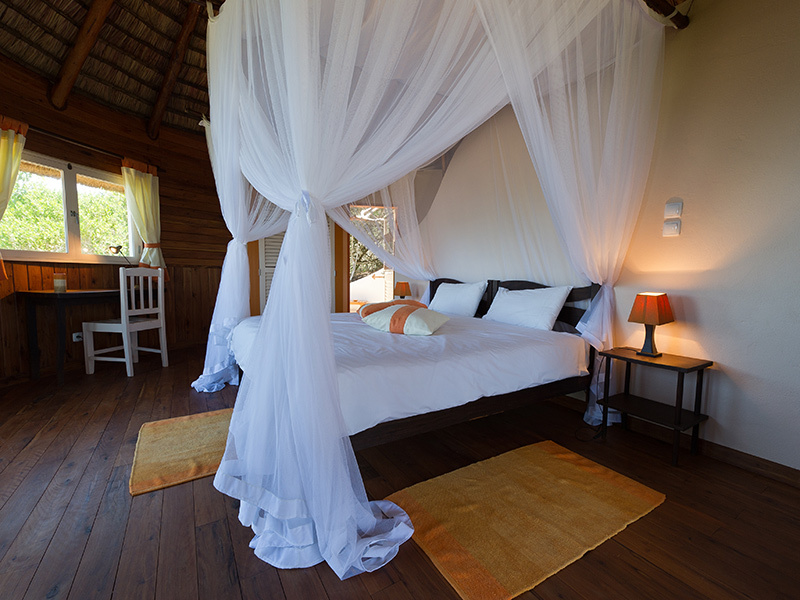 The lodge offers a variety of Mozambique Accommodation in luxurious bungalows and tented camps, each with its own charm and comforts. 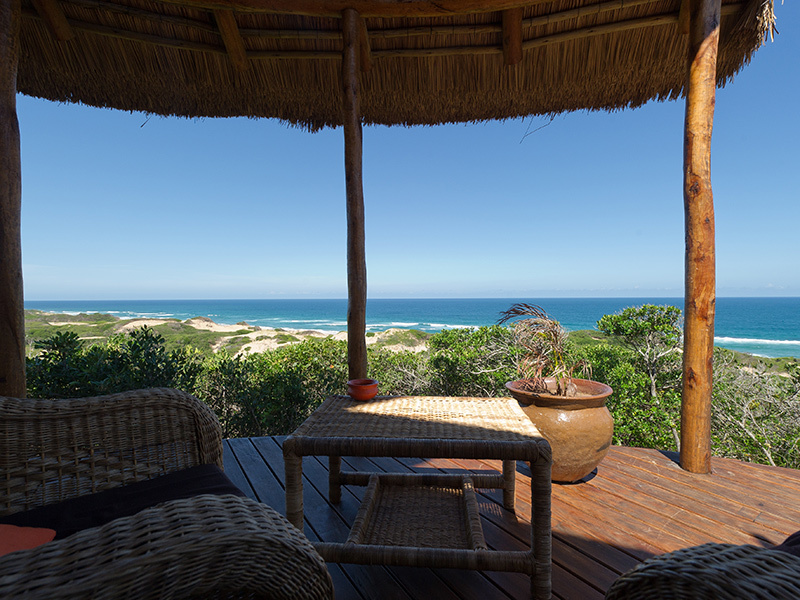 The architecture of the bungalows and their location give you unrivalled views of the sea and dunes whilst enjoying the cooling sea breeze and being close to nature. Having left your vehicle in the car park, you will walk up to the reception which comprises a welcome area, a shop and the hotel office. 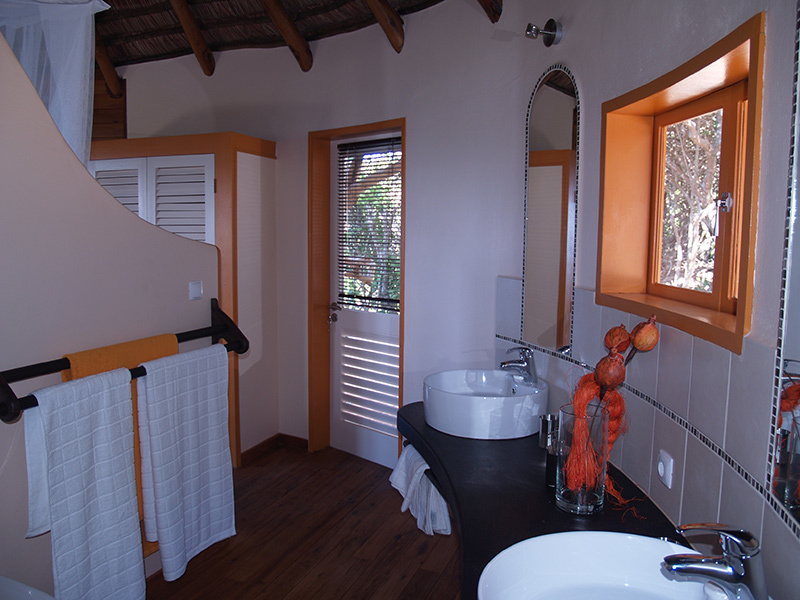 From your accommodation, you are free to explore the beautiful surroundings on foot. 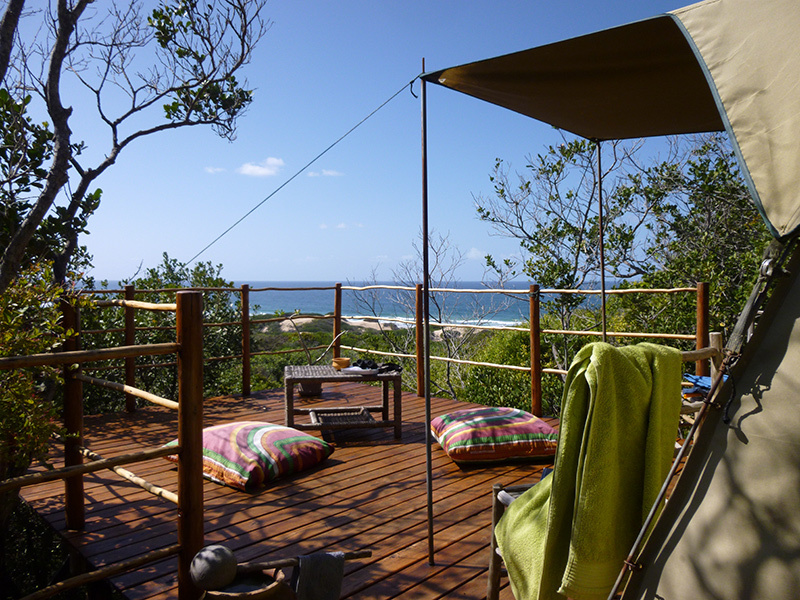 A network of shady marked paths leads you from your bungalow or tent to the restaurant, sea, viewing platforms and through the forest. 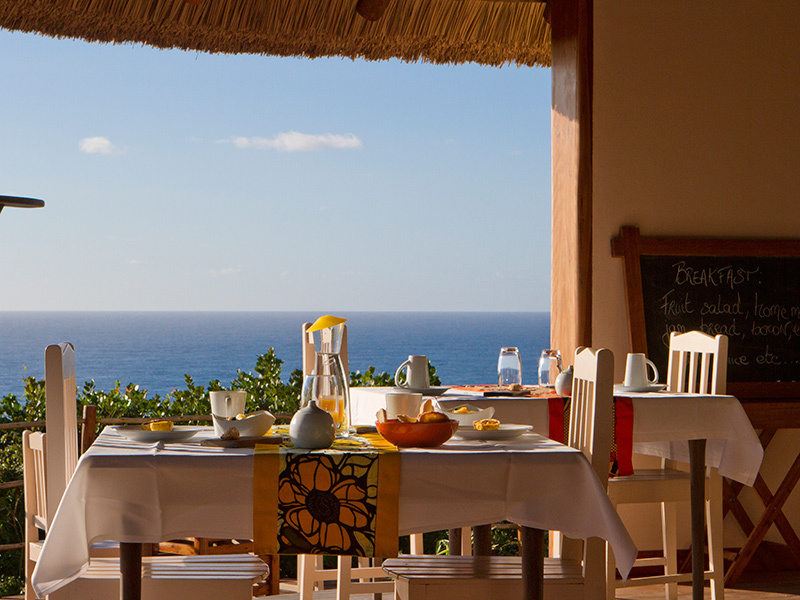 In the restaurantat Dunes de Dovela Mozambican specialities and French recipes are combined to create new, seasonal flavours. 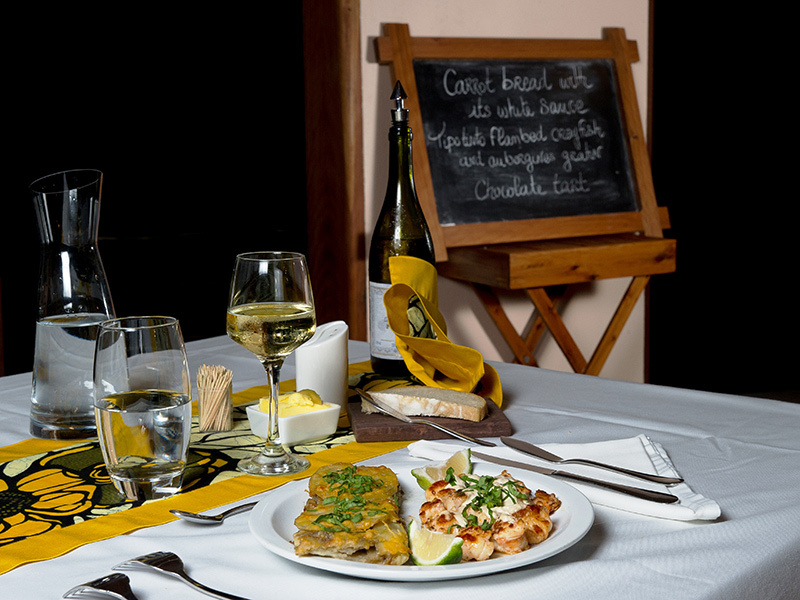 Locally-produced vegetables, fruit, fish and lobster are the highlights in a healthy, varied and delicious cuisine. The quality of food, service and atmosphere in the restaurant are all worthy of a restaurant in France. In the heat of the day, come and relax on the shady patio or browse through the library that includes books on local customs and traditions and local flora and fauna. 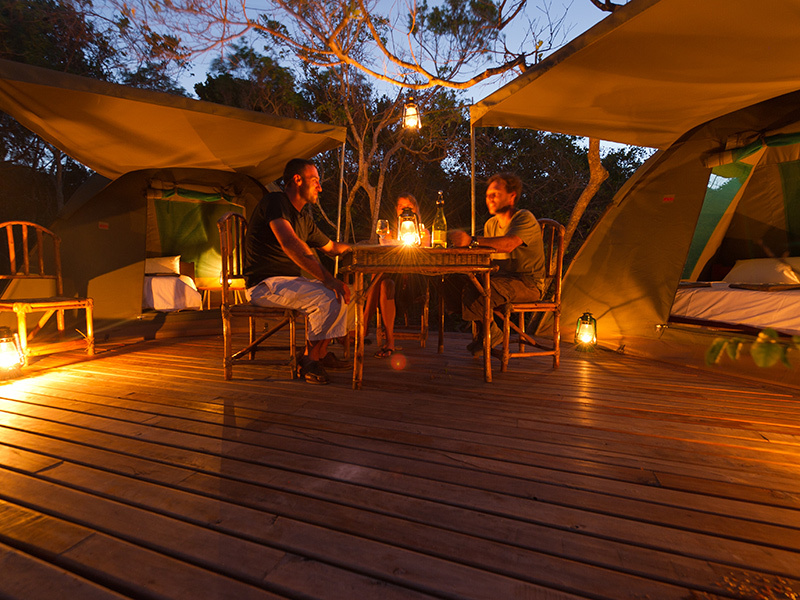 In the evening, enjoy a glass of Tipo Tinto in the welcoming bar or a cocktail around the campfire under the stars.